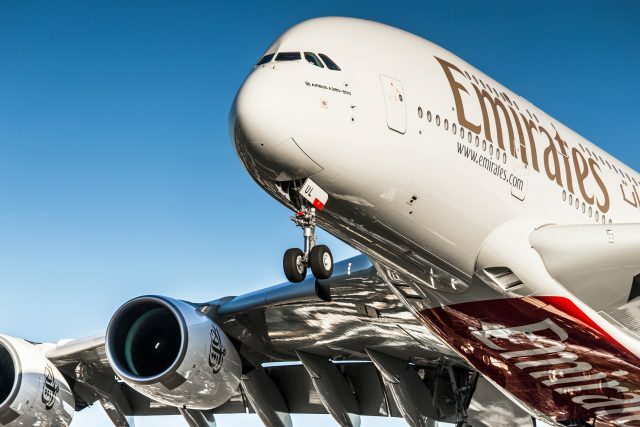 Gulf airline Emirates has announced the latest fine wines that will be served to its first class passengers on select routes this year, including 2004 Cheval Blanc and 1998 Margaux, as well as revealing it invested US$56 million on fine wine last year. The carrier has said four blue chip clarets will be poured on various international routes this year (for limited periods): 2004 Cheval Blanc and Haut-Brion; 2001 Mouton Rothschild and 1998 Margaux, in addition to its portfolio of 80 wines and Champagnes that it has on rotation for all of its passengers. Alongside the wines, Emirates said it has created dishes to pair with each wine, trained its staff and revamped its glassware too. This year’s vintage collection was launched last week when Cheval Blanc’s commercial director, Arnaud de Laforcade, gave first class passengers a surprise masterclass on the 2004 and 2006 vintages at 40,000 feet on a flight to Paris. The wines were all acquired en primeur by Emirates and then stored at its cellar in Burgundy where it currently holds a reported 4.7 million bottles of wine. The airline has been investing in fine wine – especially Bordeaux – since 2006 and then storing its purchases to serve to clients when they reach “optimal maturity” – with some stocks currently being held not expected to be served in-flight until the late 2020s at least. Last year the airline spent US$56 million on fine wine and since 2006 has invested a total of $780m. Joost Heymeijer, senior vice president of Inflight Catering for Emirates, commented: “We went direct to the winemakers, handpicked these vintages and then cellared them for up to 15 years in Burgundy before we decided they were ready to be served. It has taken a great deal of patience, investment and long-term planning. Our aim has always been to surprise and delight our customers and they are in for a treat with this selection. The 2004 Cheval Blanc is being served on flights to the UK, Ireland, France, the Netherlands and Geneva. The 2004 Haut-Brion on flights to Australasia and certain Asian routes from June. The 2001 Mouton Rothschild on flights to the Americas and UK from October. The 1998 Margaux on flights to Germany and Austria from June and then to France, the Netherlands and Geneva from November. And as an example of the dishes being paired with the wines, on flights to and from Dublin the 2004 Cheval Blanc will be served with Irish grass-fed beef fillet served with a potato dauphinoise, creamed leek and spinach, baby carrots and a shallot jus, while the same wine will be poured alongside seared venison served with a thyme jus, blanched kohlrabi, baby carrots and broccolini on flights to Geneva. Unfortunately I can’t afford to fly Emirates First Class….But am more than happy with my regular Business class experiences dating back to 2001. Except for a recent sector Bangkok – Dubai. After the pre-take off glass of Champagne the wine service went awol. No discussion about what wine after take-off. When I remonstrated with the person taking the food order I was told in no uncertain terms that he was there to take the food order and later a person would be around about the wine. This was 30 minutes’ later with a lady carrying a basket with one white and one red. I didn’t want either. Obtaining wine on the trip was like pulling teeth. Was it a one-off problem?….. Or was it the fact that my wife and I were the only alcohol drinkers in our section of the 380? Sounds odd, I fly BKK / DXB with Emirates 10 times a year, never had that – did you go the bar and have a look at what was out on the counters ?